Nano It World is the right choice for those looking for experienced and affordable Magento developers for their multilingual ecommerce store. Nano It World enables its online store owners to expand their reach globally by designing high-quality and user friendly multilingual Magento websites. 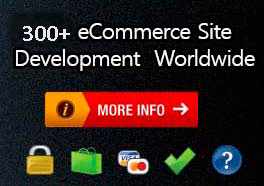 It enables website owners to present their store in different languages like English, Dutch and Chinese etc. and attract visitors from all across the world. The website gives a complete different and customized look to the store in each language. It offers the visitors a personalized view and better shopping experience. With multilingual websites developed by Nano It World, clients not only get a competitive advantage, but also expand their client base with increased sales volume. The development team perfectly tackle with both the technical and linguistic challenges. While designing the multilingual Magento stores, qualified developers at Nano It World follow the complete process of creating a new store view, assigning a locale and translating the content of the website. 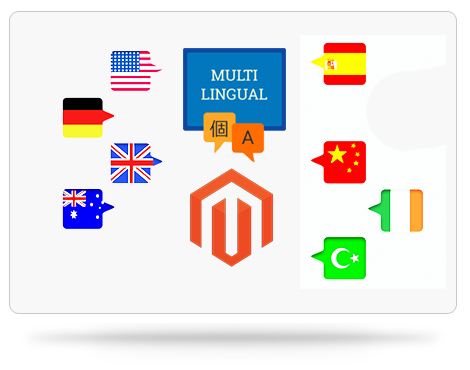 One of the important factors in multilingual websites is the code page and tools used for the development of pages in that particular code format. Based on the online store, languages in which the same has to be designed and other aspects, Nano It World developers used best code page and most appropriate tools like Microsoft Front Page. While designing multilingual websites, designers also take care of different alphabets, letters used and number of letters available in different languages. They use different character sets in the website and database to make the store more user friendly and customized. Though most of the languages are written left to right, but there are some exceptions like Arabic and Hebrew languages which are written right to left. This has strong impact of look and design of the website and how messages are displayed. Designers at Nano It World know this thing very well and design the multilingual store accordingly. Besides multilingual website development, Nano It World also offers multilingual marketing services to make your store more visible in search engines. Reach Nano It World today only for non-obligation quotes and join the list of our happy customers.